GUARDS STEPPED ASIDE, and Carl strode into Training Base One. New recruits stood in ranks near the loading bay of an equipment shed, their freshly buzzed scalps shiny in the bright sunlight and streaked red by the clipper blades. The formation vibrated with fear. At a glance, Carl noted injured sergeants—split lips, bloody noses, the red O of a bite mark on one forearm—and a massive kid sitting on the ground with splayed legs and his back to the loading-dock wall. The kid stared straight ahead, looking stunned, holding his nose. Had this huge newcomer gotten into it with the sergeants? No. He wasn’t restrained, and no one was eyeballing him. Not him, then—someone else. The metal shed door rippled with impact. It sounded like a mule was trapped in there, kicking its way out. Someone had knocked it with the big kid and the cadre, and now they had him locked up in there. And Carl knew in his gut who it was. Dubois. The exact individual Stark had sent him to “check on”—Stark saying it the way he said so many things, giving Carl an order but not really explaining it. Carl, of course, had agreed. During the six months since he’d surrendered his freedom, he had played the willing apprentice. Soon, he would have what he needed to burn this organization to the ground, but for now, he continued to play his role. The loud pounding stopped, and muffled shouting started in the shed, curses and threats. Drill Sergeant Rivera saw him and came away from the formation, smiling. They shook hands, Carl genuinely happy to see the man. The other drill sergeants eyed Carl like they might a Bengal tiger. Now the recruits were staring, too, their eyes going from Carl to the drill sergeants and back again to Carl. Good. Let them wonder. Let them fear. “Is he armed?” Carl asked. Bang. Bang. Bang. The pounding started up again, hard as hammer blows. They climbed the stairs to the loading dock, drill sergeants stepping aside for them. Toppled chairs and electric razors lay on a many-colored carpet of freshly shorn hair. Feeling the hot sun on the back of his neck, Carl recalled his own day on the loading dock, Campbell trying yet failing to save his dreads. Reflexively, Carl pushed his friend from his mind. Inside the shed, muffled threats and curses joined the pounding. Carl glanced at the shaking door and wondered what was so special about this guy that Stark wanted Carl to check on him. Well, he’d find out soon enough. He motioned to Rivera and another soldier, and they unsnapped hooks at the base of the rolling metal door. Probably waiting just inside, ready to clobber me, Carl thought, but this, of course, was of no real concern now that the chip was a part of him. Carl opened the door the rest of the way. The kid stood maybe thirty feet away, looking small yet sturdy beneath a flickering fluorescent light. He had a grin on his bloody face, a broken mop handle in one hand, and the tall black pompadour of an Elvis impersonator. Ridiculous. He and Dubois stared silently at each other. The light buzzed erratically overhead, and Carl smelled clean linen, a scent strangely out of place in this tense moment. Dubois began pacing back and forth, slapping the stick in the palm of his hand. Considering the damage the kid had done outside, Carl had expected someone bigger. And considering Stark’s interest, he’d expected someone more impressive. He didn’t look afraid. Carl had to give him that much. What he looked like, Carl thought—the guy rugged but short, maybe five-five—was a fighting rooster. He even had the comb, all that tall black hair piled on top of his head. One of the soldiers started to protest, but Carl’s glare stopped him. Rivera hooah-ed, and the door rattled down. 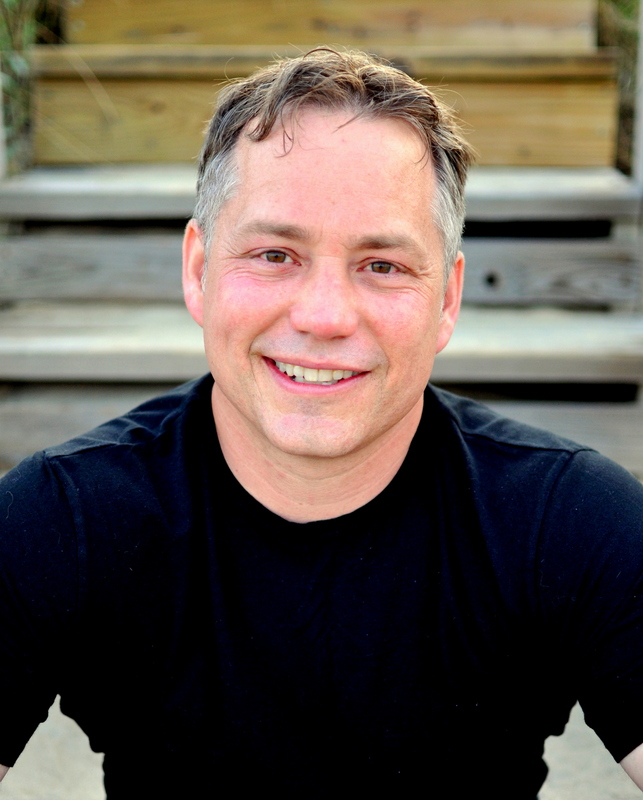 When Carl turned back around, Dubois had closed half the distance and stood there grinning. From a gash in his hairline, blood streamed down the middle of his forehead and forked at the bridge of his nose, drawing twin lines of crimson to his jaw. Between the hair, the grin, and the oddly symmetrical blood, he looked like a psychotic clown. “Come to see the sideshow, boss?” Dubois asked with a country twang. “Something like that,” Carl said, keeping his voice flat. Dubois tensed with the question, and Carl thought, His whole life, he’s been carrying that name around like a KICK ME sign taped to his back. “It was my granddaddy’s name,” Dubois said. “I thought it was a place,” Carl said. Carl said nothing, picturing not someone named Washington, but rather someone from Washington. Someone with beautiful gray eyes and a streak of white in her hair . . .
Me, too, Carl thought, but said nothing. “I think so,” Carl said, remembering the enormous recruit slumped against the wall. Carl nodded, picturing it: Tex with his funny hair and his strut, not even five and a half feet tall, and with that country twang—exactly the type of guy some big, mean kid would push and push. He remembered his own start on the island—Davis, Decker, Parker . . . all of them pushing—and how difficult it had been, holding back. Carl laughed. Against all odds, he actually liked the kid. His guts, his sense of humor. Tex nodded. “Guess I don’t need this anymore, then, huh?” And he tossed the mop handle across the room. Good, Carl thought. Stark would be pleased that he had defused the situation. Carl said nothing. Let the kid talk, he thought. Make him comfortable. “The man’s man, huh?” Tex said, and spat on the floor again. And then he was ducking, rolling sideways, his body reacting automatically before his conscious mind even registered the footsteps racing up behind him. Tex’s boot slammed hard into the metal door, right where Carl’s head had been, and the shed filled with insane laughter. He almost had, too. A kick like that could’ve broken his neck. Rage leapt up in Carl as hot and fast as a flame, and then he was smelling ashes again. Carl advanced slowly and silently, outwardly calm. He’d been nice to Tex, helped him, and the second he’d turned his back, the kid had tried to take his head off—would have taken his head off if it weren’t for the chip. Rage roared, demanding retribution. Control it, he cautioned himself. Tex backpedaled to the far wall and picked up the broken mop handle. Carl walked toward him, arms loose at his sides. Behind him, the door rattled open, and men’s shouting filled the shed. “Come on in, boys!” Tex shouted. “The more the merrier!” And he swung the makeshift club with a whoosh. He walked toward Tex, saying nothing. “You can’t sweet-talk Texarkana Reginald Dubois,” Tex said, and charged, raising the mop handle overhead like a chopping ax. For Carl, the world decelerated as the chip worked its magic. Tex swung the stick in slo-mo. Carl slid easily under the attack and drove an uppercut into the kid’s stomach. Tex dropped to the floor, gasping. The broken handle clattered away. Seeing the traitor crumpled at his feet, Carl braced himself for the red wave. For the chip had done more than make him faster . . .
His eyes found the sharp end of the broken handle a few short strides away, and the beast within him demanded he drive the pointed end into the exposed neck of the sucker-punching thug lying helpless as a sacrifice before him. Carl’s body took one step in that direction, but he gritted his teeth and stopped himself. No, he told himself, fighting the rage that lived within him now like a dark twin. Don’t do it, don’t give in. When that didn’t work, he thought, Remember Sanderson. The memory slapped him hard with its sun and sand and screams, allowing him to wrestle his rage temporarily into uneasy submission. The strike was short and sharp, a palm heel to temple, and Tex went instantly limp, snoring the way some guys do when they get knocked out. The dark twin within Carl roared, and Carl stepped back, afraid that if he lingered even briefly, he would pick up that broken handle. He turned to discover Rivera and the others staring at him with fear and awe. In Stoker-winner Dixon’s adrenaline-infused sequel to 2014’s Phoenix Island, 16-year-old Carl Freeman, now a highly trained fighter implanted with body-enhancing microchips, is part of a three-man team representing Phoenix Island, which is ruled by the tyrannical Stark, in the Funeral Games, “an annual underground tournament held at an undisclosed location and hosted by the Few, a small group of enormously wealthy elitists who happen to love blood sport.” Each participant will fight four bouts in four days. The winner of each weight class will receive $10 million. The games turn out to be on an island called Devil’s Pocket, where Carl, who’s posing as a loyal Stark supporter, is startled to encounter Margarita Carbajal, whom he knew as Octavia, his love interest, in the previous book. Octavia and Carl join forces in a desperate attempt to destroy Stark and the Few. A former Golden Gloves boxer, Dixon combines futuristic technical advances with graphic fight scenes for a satisfying adventure thriller. 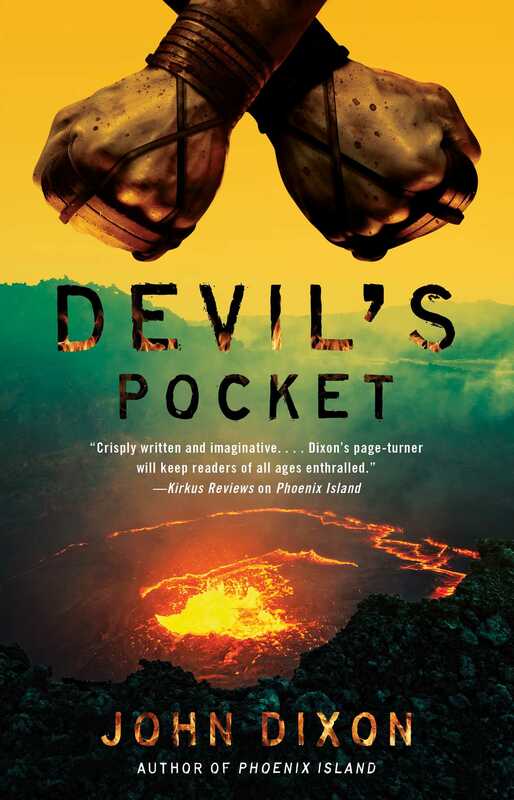 "Devil’s Pocket is the best kind of sequel, one that doesn’t just repeat the original, but boldly strikes out for exciting new territory—and conquers it! This makes The Hunger Games look like Chutes & Ladders."